Like earlier games in the series, Civilization VI will be getting an expansion this year. Titled “Rise and Fall”, this first expansion for Firaxis’ turn-based strategy game will not only make changes and additions to gameplay, but will also add several new civilizations (civs for short) to the game too. Aside from civs like the Cree, which have never featured in a Civilization game before, the Rise and Fall expansion will also be adding old familiar civs to the game like the Zulu. 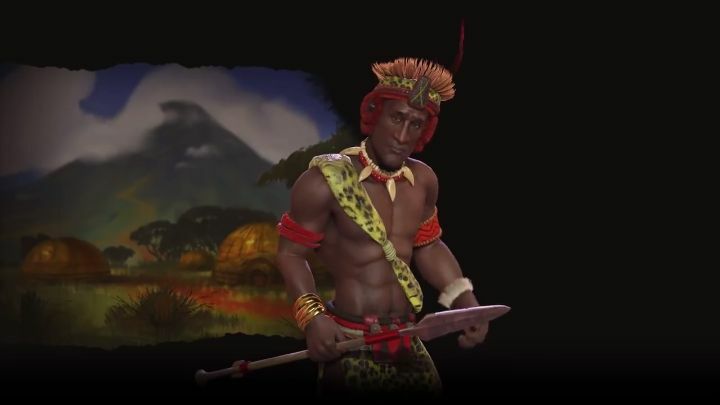 Actually, the Zulu and their leader Shaka have featured in the Civilization franchise since the first game hit shelves back in 1991, so it’s likely series’ veterans will welcome the opportunity to play as the Zulu again. And judging by Firaxis’ preview video below it’s clear this is a civ built for war, and will surely be a threat to its neighbours in the early stages of the game. This is because the Zulu get to field their mighty Impi warriors, a unit which replaces the Pikeman all other civs get, and which gets several bonuses in the game. Aside from a flanking bonus, the Impi also get additional experience points after winning battles, plus, after conquering an enemy city with an Impi unit it will be automatically upgraded to an army or corps. Also, while Civilization VI lets you combine two military units to form a corps (and later three to form an army), the Zulu are able to do this much sooner in the game. This is thanks to their unique city improvement (the Ikanda), which replaces the encampment other civs get, and gives you the ability to create corps and armies earlier than other civs can. This means the Zulu will be great to play as if you are planning to wage a war of conquest and go for a military victory in the game, while those players who discover they are neighbours to the Zulu early on might want to prepare their defences accordingly, or risk being overwhelmed by the Impi hordes. It’s clear though, that the Rise and Fall expansion for Civilization VI could help add extra variety to what already is a feature-packed game, although we’ll soon find out whether this is the case (or not), as Rise and Fall will be shipping this week. Note: Civilization VI: Rise and Fall will be released on February 8, 2018. Available on PC.